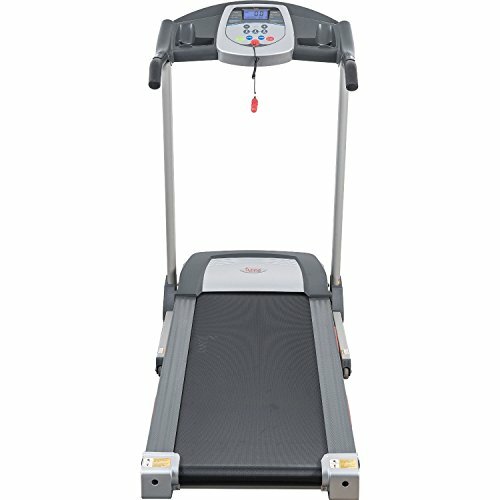 Sunny Health & Fitness presents our brand new motorized Treadmill. 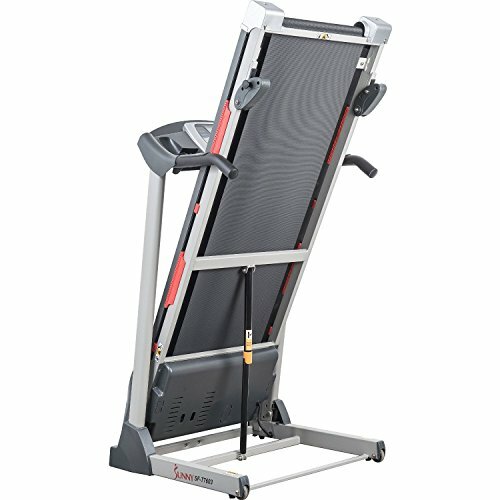 If you have no time to go the gym, or go running outdoors, this is the solution. 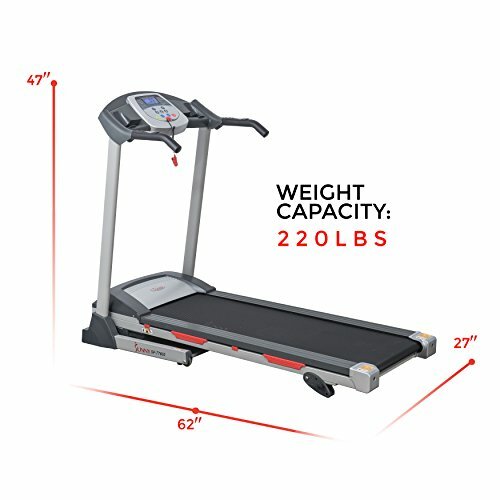 With this Sunny Health & Fitness Treadmill, your home is your gym that will help you stay in shape. It features a folding mechanism and a soft drop system to help you fold and unfold your Treadmill safely and with ease. The handrail controls allows you to control start, stop, adjust speeds, and measures your pulse rate. 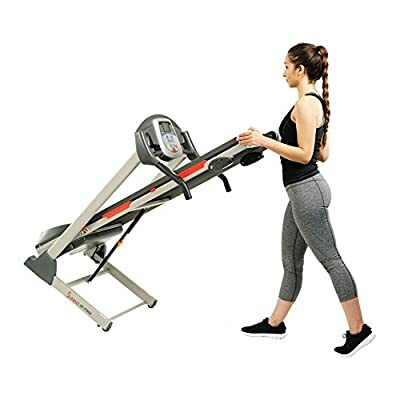 This comes with 9 built-in user programs with 3 manual adjustable incline levels. 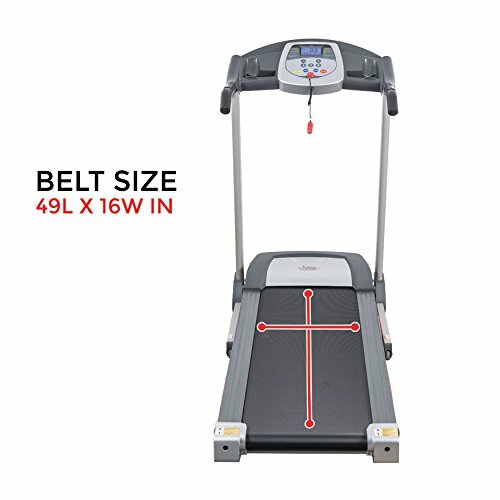 It helps keeps track of your overall workout goals with an easy to read LCD that displays time, distance, speed, and calories. 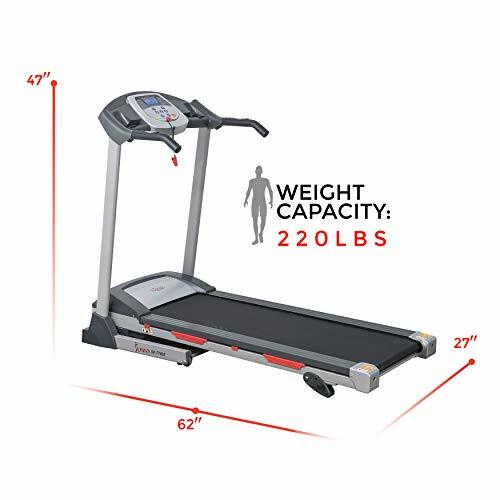 The Sunny Health & Fitness Treadmill is expertly designed for performance and total efficiency, with a 220 lbs maximum user weight.